Sunday share day | My kitchen musings! Wow! Can you believe it’s already Sunday! This was a pretty good week here on the island. But really (and this may be a humble brag) is there ever really a BAD week on the island? We were carless for a few days (we are a one car familia so I drive the husband if we want the car) so my father and I got lots done in the house. Everything is pretty much set-up but there’s of things that need hanging and it’s not as simple as one may think. The house here are made of concrete. Concrete. So if you want to hang anything, say a calendar on the wall? You have to drill a hole using a masonry drill. Oh yea. So what may take less than 5 minutes stateside to hang something could take about 20-30 mins here on the island. But at least it gives my dad a chance to use power tools. 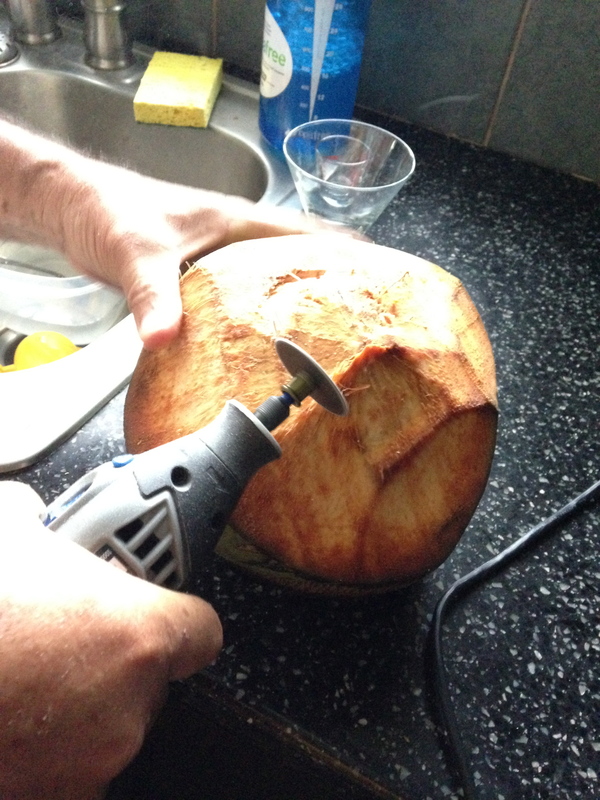 Speaking of power tools…we got a coco friiiiiiiiio from the back of a guys pickup truck today and my father decided we should crack it open and get the flesh out. Mind you, we do not own a machete (yet) so he whipped out the trusty ole dremmel. It took some persistence (and coconut flying everywhere) but alas, he cracked it open. Only in PR, right? We also checked out a new restaurant that opened the other day, TBC. It’s a husband and wife duo from DC and yea, this may definitely become a regular breakfast (and perhaps lunch) spot for us. The colors of the place were bright and lively and the atmosphere was kicked back and relaxed. Oh, and the food was oh-so-good! Gabriela even got dolled up for the occasion of her first brunch out! My cooking plan during the week kinda went off without a hitch. I was making pork chops with an apple and onion sauté and unfortunately the apples were not as sweet as I was hoping. It was from Lucinda Scala Quinn’s cookbook and while it wasn’t what I thought it should taste like, it was still pretty good (recipe to follow shortly). I also tackled a _50 shades of chicken_ recipe that I had to alter because of course I didn’t read throughout the whole thing (read through the WHOLE recipe before you start, people). So while the recipe called for a whole chicken, I used chicken thighs and it still turned out well. Delectable. Scrumptious. Ok- I’m just trying to fit the whole 50 Shades word usage here. Friday was pizza Friday from a pizza joint by the hubby’s work that we absolutely LOVE! 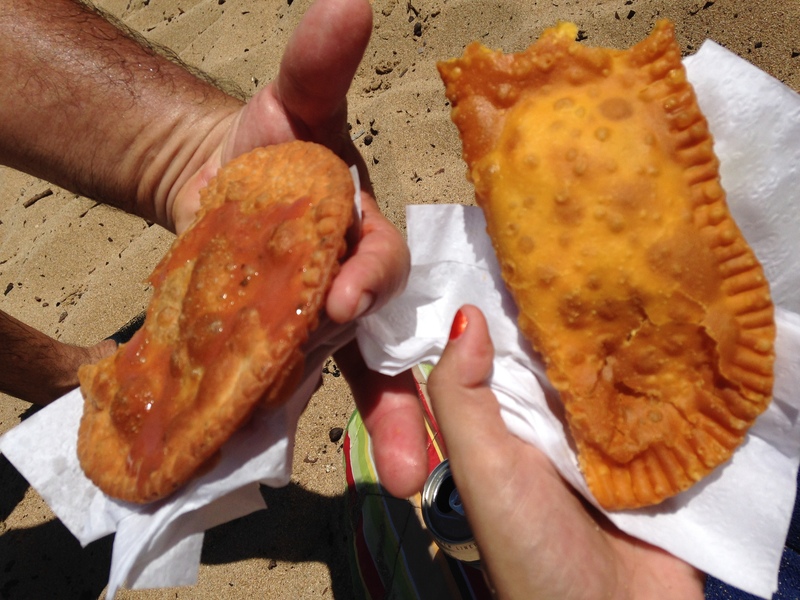 Next Friday we’ll be trying out a food truck (aka as a guaguita in PR) so stay tuned for that review! 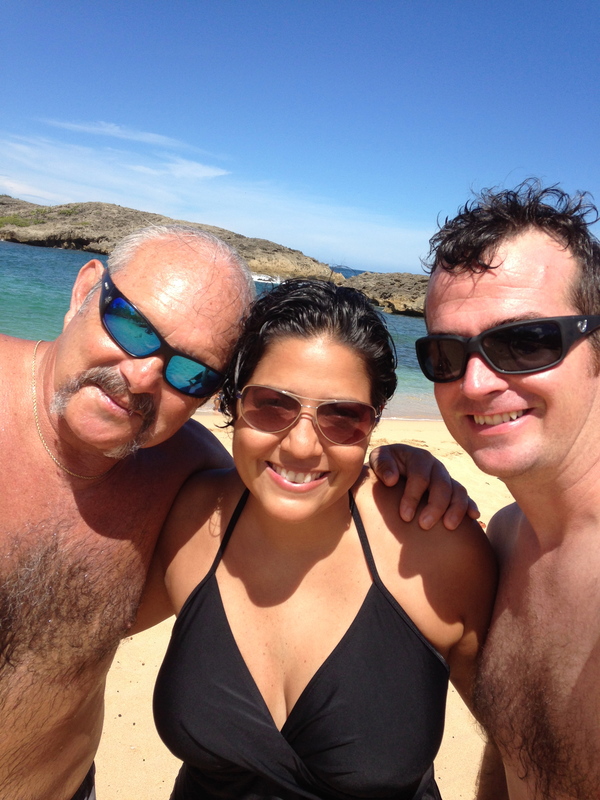 We capped off the week with a beach visit that I had read about from a fellow blogger at Island Canes, Mar Chiquita. We took the scenic way out there via Route 2 and went through many a small towns. It was quite interesting checking out the different little bits of Northern Puerto Rico. The beach was perfect. A clear blue water “pool” surrounded by rocks gave the feel of being out far in the water (the floor drops way deep pretty quickly) complete with medium waves and rock formations under the water, but you’re in the safety of the enclosure. The husband was much braver than me and snorkeled out close to the opening to the ocean and he said it was pretty cool. 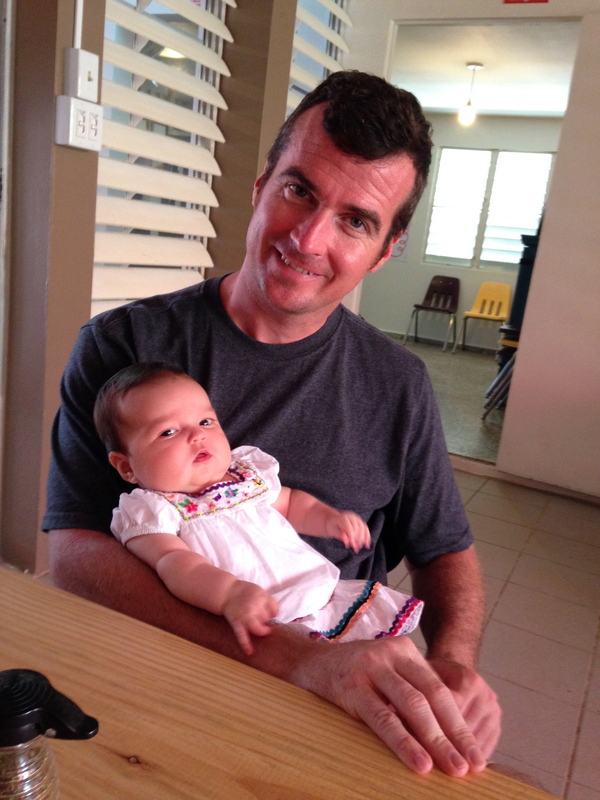 With the baby we didn’t stay too terribly long but long enough to try out the guaguita “el saber del norte”. 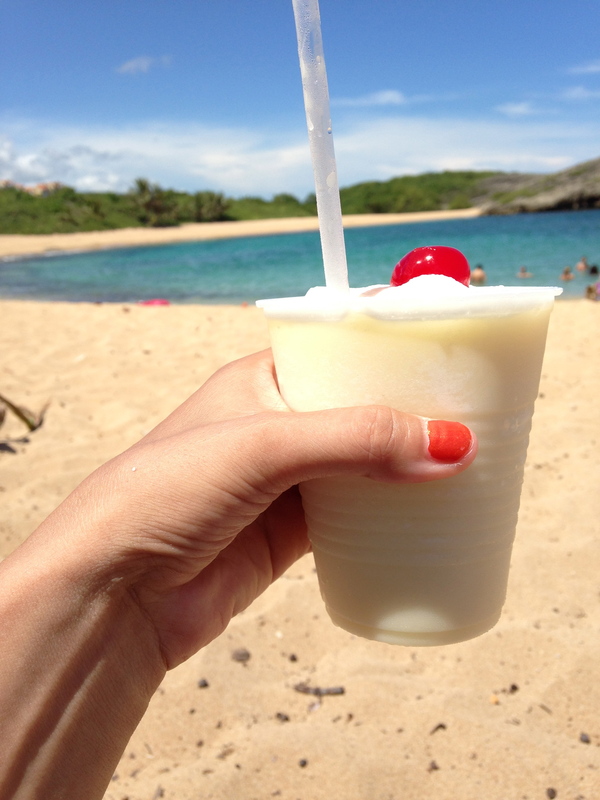 We indulged in some pina coladas, alcapurrias, and empanadillas. A small chunk of change for some huge yummy flavors! oh! and probably the BIGGEST share of the week was my drastic need for a new hairdo! I have naturally curly hair that is thick and long (well, shoulder length is pretty long for me) and takes FOREVER to dry. Recently i’ve been wearing a ponytail because 1. it’s too hard to blow dry my hair for 15+mins with a sleeping baby in the next room and 2. I no longer own a blowdryer, that I knew I needed a change. So to go along with the “new chapter” in our lives, I thought I’d start fresh and hack off the hair. WOW! how incredibly light and freeing this new do feels! I’ll be posting some better pics of it soon but I’m still working out the whole “holy crap my hair is short” phase of things. Meal planning for next week. Trying out a different grocery store for hopefully a better selection of meats. That might actually help with the quality of this FOOD blog if I actually COOK something! What’s for dinner tonight? Chicken wings with a soy sauce, peanut butter, honey, red pepper flake, and a garlic sorta marinade. Happy sunday night football! ← back in the saddle, er, KITCHEN, again!